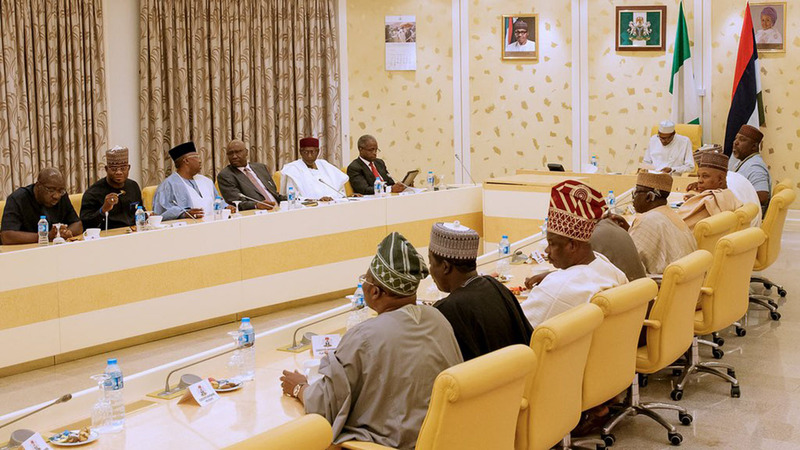 Barely six days to the elective national convention of the ruling All Progressives Congress (APC), the Presidency and the party’s 24 state governors are locked in serial meetings in a last ditch effort to avert a possible outbreak of crisis during the make or mar convention. The main item on the troubleshooting agenda, is the attempt to put together a unity list that would accommodate diverse interests of stakeholders, by adopting their preferred candidates for the available elective positions in the party’s working committee. Given the crucial nature of the negotiations, especially against the background of the forthcoming primary elections for National Assembly, governorship and other elective offices, the comprehensive unity list may only be perfected two days to the convention. 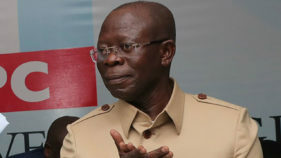 Governors of the party, including the six coordinators of the geopolitical zones, have been engaged in intense consultations and meetings with the supposedly anointed candidate for the position of national chairman, Comrade Adams Oshiomole, with a view to building the much needed consensus and harmony among those that would eventually make the list, which would be presented for affirmation by the 6, 800 delegates during the convention. Although the party resolved to retain the subsisting zoning arrangement, there are indications that frantic efforts by some members of the outgoing NWC to retain their positions might hit a brick wall, given the horse-trading by entrenched interests. 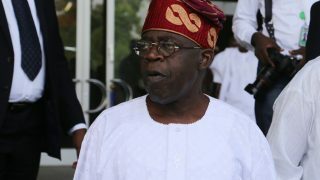 For instance, investigation by The Guardian revealed that the former governor of Ekiti State, Otunba Niyi Adebayo is being positioned to succeed Segun Oni, as the deputy national chairman of the party in the South, while Adamu Fanda, a protégé of Kano State governor, Abdullahi Umar Ganduje, is most likely to take over the position of national treasurer from Alhaji Bala Gwagwarwa, a close ally of Senator Rabiu Musa Kwankwaso, who has lost control of the party structure to Ganduje in the state. From Kogi State, Hajia Salamatu Umar-Eluma, is being propelled by Governor Yahaya Bello to replace Hajia Ramatu Tijani Aliyu as the national women leader, just as a former minority leader of the House of Representatives, Farouk Adamu Aliyu, who is Oshiomhole’s campaign coordinator, is billed to step into the shoes of Senator Lawali Shauibu, as the deputy national chairman of the party in the North. 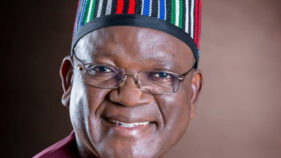 But the party appears to be running into troubled waters concerning positions zoned to the South East, because while chieftains of the party from the zone at a meeting at Sheraton Hotel, Abuja, endorsed the trio of Senator Osita Izunaso, George Muoghalu and Emmanuel Eneukwu for national organising secretary, national auditor and national vice chairman (South East), respectively, new contenders have been propped up by some powerful elements with the support of the Presidency. Chairman of the Convention Planning Committee and Governor of Jigawa State, Alhaji Mohammed Badaru Abubakar, informed stakeholders that since state governors are zonal coordinators, it does not make sense for South East leaders to meet outside their zone, and in the absence of the governors. Governor Badaru maintained that any zone that fails to harmonise its position, the governors would move against them at the convention. Consequently, parallel candidates expected to challenge the former NWC members include, a United States trained chartered auditor, Mr. Chukwuemeka Nwogbo (national auditor), Chidi Nwogu (national organising secretary) and Chief Executive Officer of AutoStar Travels and Tours, Chief Onyemauche Nnamani, who is eyeing the post of the national vice chairman, South East. In what appears like the preparation for a showdown at the convention, members of the Chuba Okadigbo Rainbow Organisation in the party have declared their support for Izunaso’s challenger, Nwogu, for the position of national organising secretary. The group, which met in Abuja said they decided to back Nwogu because of his loyalty to their leader when he ran with Buhari for the Presidency in 2003, stressing that Nwogu would uphold the principles of their late leader, having worked closely with him. In a communiqué signed by the National leader of the group and Owelle Awkuzu, Chief Peter Emenaka, the North East Coordinator, Alhaji Yakubu Das, and the South West leader of the group, Dare Falade, they appealed to President Muhammadu Buhari to honour the memory of Dr. Okadigbo by accepting Nwogu as the national organising secretary. A chieftain of the party, Osita Okechukwu, cited sections 12 and 20 of the party’s constitution, contending that the fact that the South East has rejected Governor Rochas Okorocha does not mean that leaders should be imposed on the zone, adding that the 400 delegates from the zone and other states would perform their statutory roles if the appeal committees finalises its work. Meanwhile, no fewer than 19 persons seeking various positions in the party have been disqualified. Chairman of the appeal sub -committee of the National Convention, Governor Okorocha told reporters that the decision was taken by the Governor Aminu Masari led screening sub committee of the National Convention. He disclosed that his committee is considering 18 petitions filed against those who scaled the hurdle of the Masari led Committee. Assuring that his panel will treat the petition in a just and fair manner, he explained that apart from office of national chairman and the national secretary, there were petitions against other positions, which include that of the national organising secretary and the national women leader. He noted: “This means they have been disqualified from contesting the election. If there is anybody who has been screened and there is a petition against him, we have power to uphold his qualification or disqualify him based on the merits of the petition. “As you can see, we have started receiving petitions and appeals. Right now, we have seven aspirants here. We have resolved to give everyone a fair hearing so that Justice, equity and fairness will prevail so that we prevent crisis in the party. We are carefully selected Nigerians from all works of life from different states that constitute membership of this committee. “We have two days to do this job and we will be submitting our report by Monday barring any other reason. We are here to work all day and all night and take our decision. The screening appeal is the final appeal in this case. After this appeal committee, the next appeal will be after election, which will come after the convention. We are not unmindful of the fact that the convention committee will need time to start printing of ballot papers for the convention and so, we will ensure that we complete this job on time.